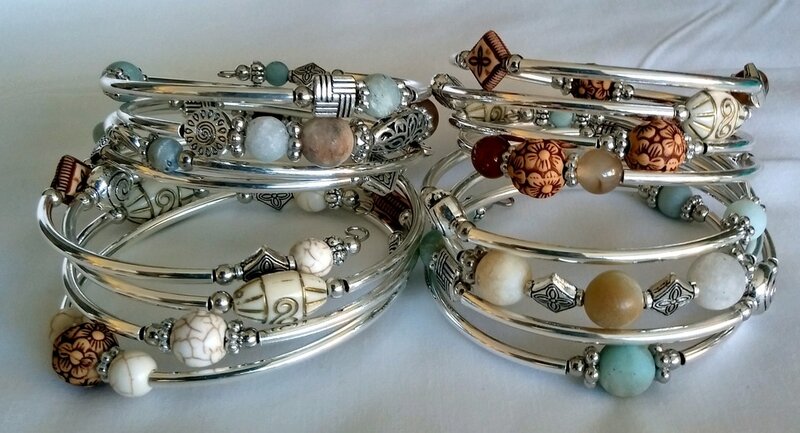 Look around and see our beautiful selection of swirly bracelets. Our bracelets are now available in 3 sizes: Petite, Regular and Large!!! Looking good and feeling good is important to me. ​Nothing makes me feel better than when I'm wearing pretty things. I've designed this jewelry with you in mind. Come on, let me show you my creations! Denise Amontree, designer of Swirly Bracelets.